Follow the steps below to complete the sync process. If you were redirected to this page from the mobile app, a URL address was copied in your clipboard. Since you'll be needing this address shortly, save it somewhere. 1. Connect to your Google Agenda account. 2. In the left panel, press the icon representing three dots aligned vertically (see pink arrow). 3. In the displayed menu, press "From URL". 4. Paste the URL address copied previously in the "URL of calendar" field (see orange box). 6. 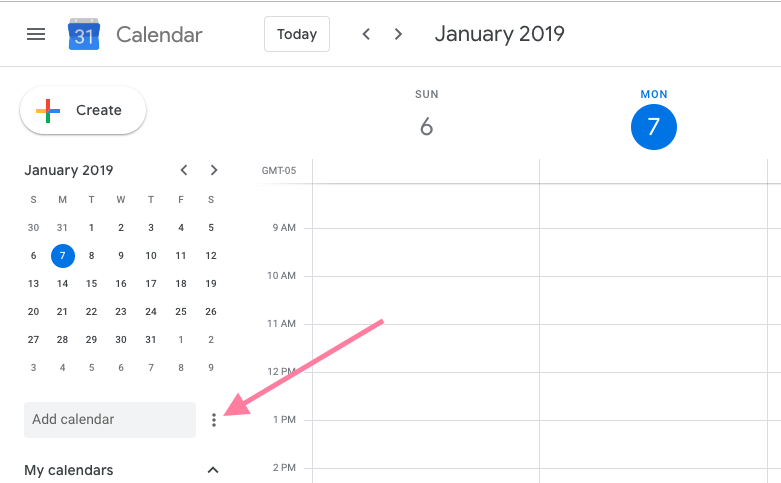 Open your preferred calendar app, in which your Agendrix schedule should now be displayed.